Each month, HCMG sees more than 3 million highly engaged unique visitors who consume over 10 pages of content and over 3 minutes on page with each visit. 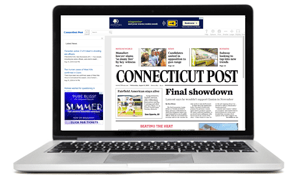 Last year CT consumers engaged with over 420 million pages of local media content, making HCMG sites the number one place in CT to receive breaking news, entertainment, real estate listings and local sports updates. Utilize one of our many sites to target one of the most affluent consumer markets in the entire country. Identify your consumers based on a multitude of audience segments such as behavioral level targeting, income levels, geo-based targeting , home ownership and hundreds of other audience segments to put your message in front of this highly engaged and motivated audience. 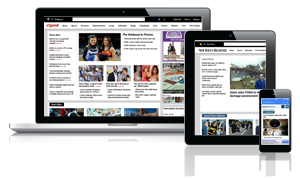 The Digital Edition (also called the E-Edition) is an exact digital replica of the printed newspaper, including the same news, features, ads and layout. You can read it wherever you have access to the Internet - at the airport, at work or over your morning cup of coffee. Or you can download your digital edition to read later!